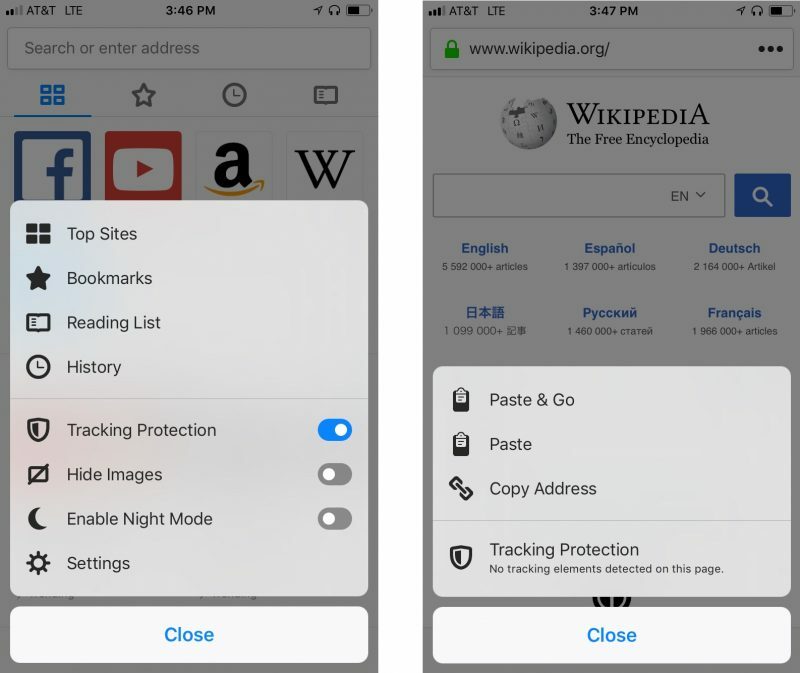 Mozilla has updated Firefox for iOS with some notable changes, including new iPad features and default tracking protection in both regular and private browsing sessions. The additional privacy measure means users get automatic ad and content blocking when browsing unless they opt out, while those who want to selectively deploy Tracking Protection need only tap the menu button and slide the feature’s toggle. On the iPad front, Mozilla has added the ability to re-order multiple open tabs to prioritize them. To do so, long-press a specific tab and drag it into the desired position. Meanwhile, in Split View, it’s now possible to share and open links by dragging and dropping them to and from Firefox to any application, whether they’re in an email or a tweet. Firefox has also implemented new keyboard shortcuts for standard navigation, as well as several improvements for easier tab tray navigation, like Command-Option-Tab to get to and from the all tabs view. Users seeking more details on the full range of keyboard shortcuts available in Firefox can check Mozilla’s online guide.